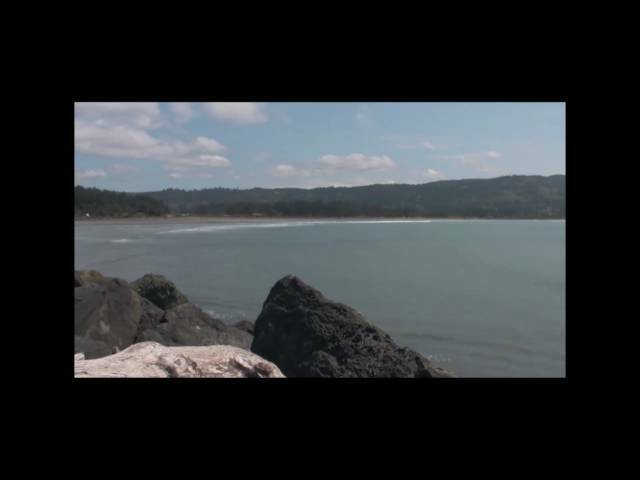 In this video I stand 150 feet up on top of the big rock that comprises the South wall of the entrance to Crescent City harbor. From the precarious position one can get a perfect panoramic view of Crescent City, its bay and harbor. While circling precariously on this perch, I narate more Bottlegger's Cove info. wildlife that comes with it. Tsunami damage in Crescent City harbor on March 11. At about 7:30 AM on March 11, a Tsunami generated during the 8.9 quake off Japan arrived in Crescent City Harbor. CC Harbor has a history of getting the worst out of any Tsunami. What is nasty elsewhere is downright catastrophic in our Harbor. The 2006 tsunami here led to apx $20M in repair bills. This one may be a bit more. This was shot from a helicopter with a Panasonic HPX170 on a shoulder mount. Editing was minimal and the lower thirds done in Motion. 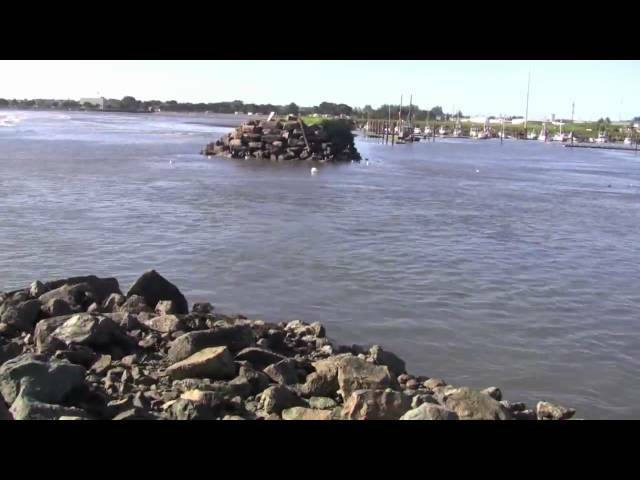 Video of first 3 hours of tsunami inundation at small boat basin entrance of Crescent City harbor. Tsunami produced by M8.8 offshore Chile earthquake. The processed video is sped up by about 20X so that 3 hours is reproduced to be about 8.5 minutes in length. Note, the tsunami is not a wall of water but a series of long period waves, seen here as strong shifting currents in and out of the small boat basin. The surging and waning portions of the tsunami are about 15 minutes apart. This small boat basin typically has little or no current across the entrance. The anticipated maximum crest to trough amplitude of the tsunami was estimated by the West Coast Tsunami Warning Center to be about 0.6 m (2 ft). The change in sea level height is evident by the change in water height on the end of the rocky break-water directly across the channel. Several fishing and pleasure vessels moved out of the basin in advance of the tsunami. A few of them return during the course of the video and can be seen negotiating the channel in the swift currents of the tsunami. 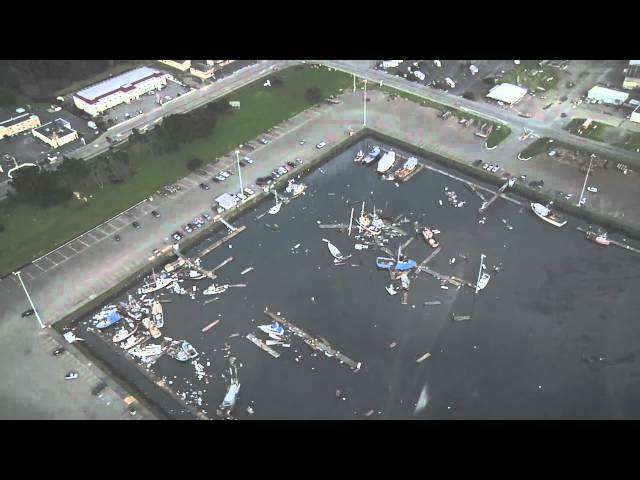 Entrance to Crescent City Harbor during first surge of 2011 Tsunami. Tsunami surge in the entrance to the boat basin of the Crescent City, Ca harbor, March 11 2011. Ten minutes in ten seconds timelapse. Started when surge began and ended when it had pretty well stopped advancing.